Our circle time today was on anger – we discussed how being angry is okay but it’s how we choose to deal with it if we get angry. 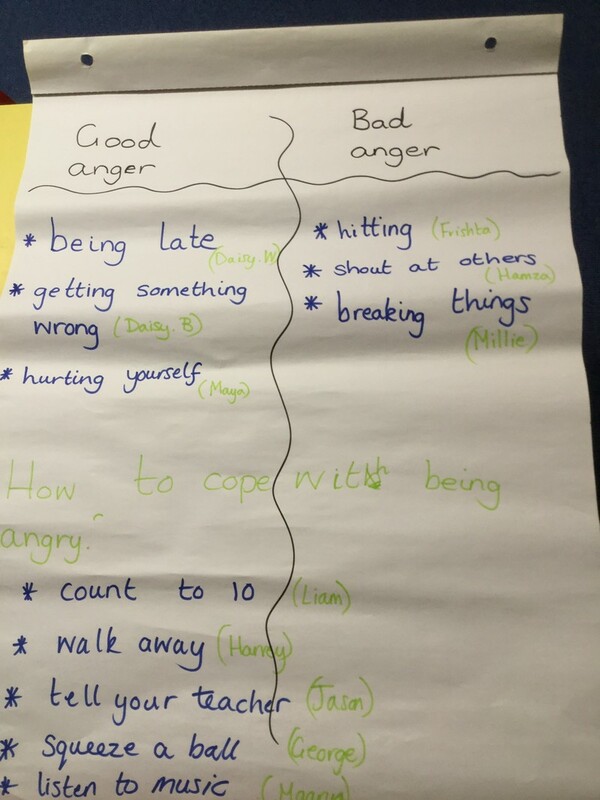 We discussed different types of anger and what we can do to deal with it. We finished the session with a story called I feel angry. Today the children have been discussing what our value word courage means and times they have been courageous. 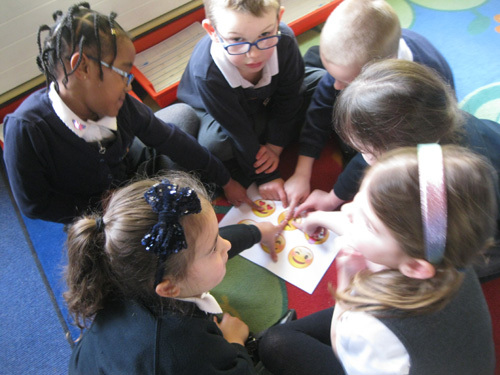 This week so far the children have been doing a variety of activities to ensure they understand how to keep safe online with the added bonus of Safer Internet Week. 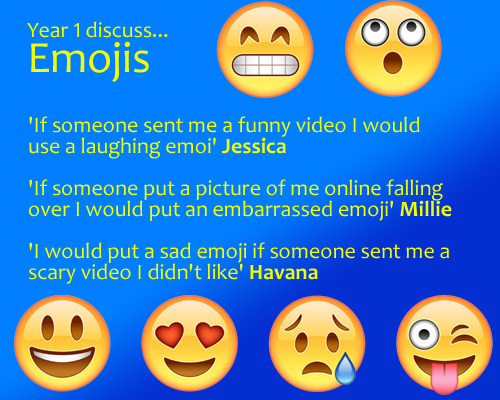 As part of our circle time the children have discussed what emojis they would used for a variety of scenarios. We also ensured the Puffins know what to do if these scenarios happened and they were very confident in doing the right thing. Well done puffins! 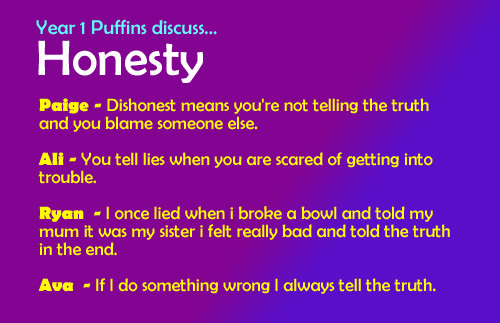 Puffin class watched this video clip (http://www.bbc.co.uk/education/clips/zbmjmp3) during PSHE and discussed the importance of being honest and the impact of lying on the person. Today in circle time Puffins discussed our value word thoughtfulness. We spoke about times we have shown thoughtfulness to others or others have shown thoughtfulness to us. 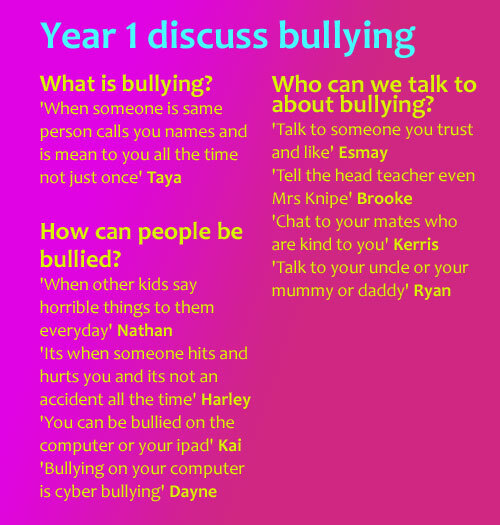 Today the Puffins have been discussing bullying in circle time we even had a did some role play and hot seating to see the points of view of a bully and the victim. 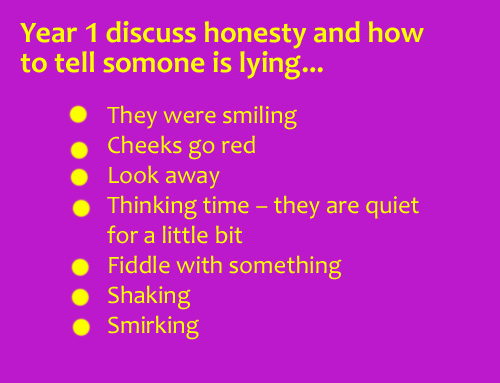 During circle time today we explored honesty through a game of two truths and a lie. 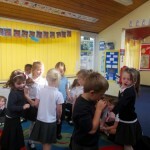 We had lots of fun making things up about ourselves and sharing them with each other. 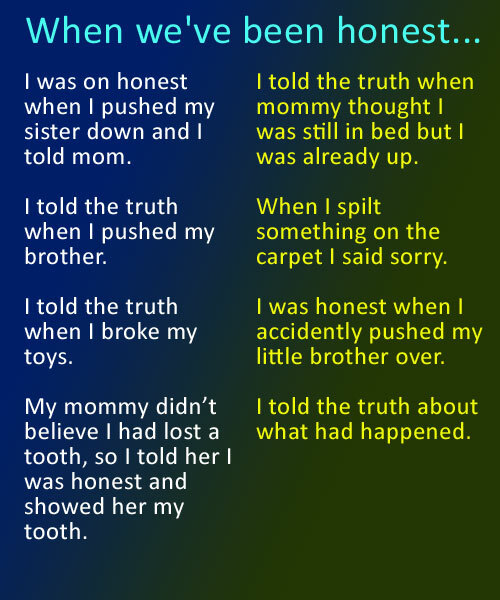 Here are some examples of our two truths and a lie. I don’t like your hair. I don’t have any bones. I don’t have a mum. 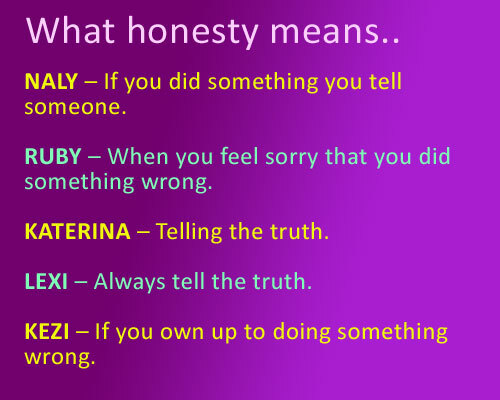 We started circle time today by thinking about what we thought honesty meant. 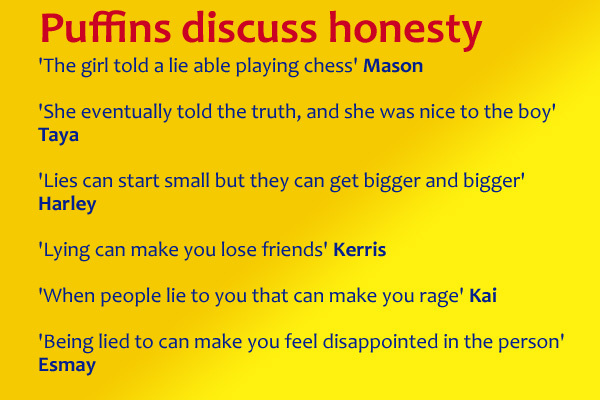 We thought about times we have been honest. We shared our different stories with each other. After we had talked about our stories, we thought about how felt once we had told the truth. We explored our feelings really well and have started to use a range of feeling words. 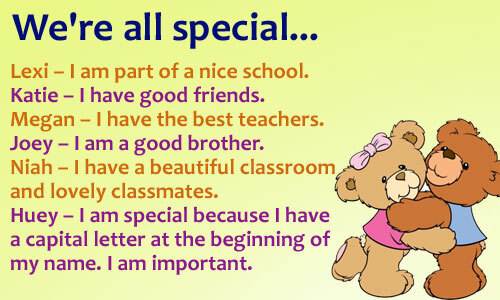 Today in circle time we thought about how special we all are. We all shared ideas with the class about why we are special. 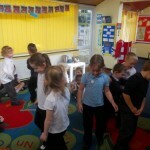 We then played a circle time game finding similarities between us all. We realised that we are all very different, but we also share some of the same qualities. We decided that it is nice to have lots of different people in our class and that we are all special because we are puffins.